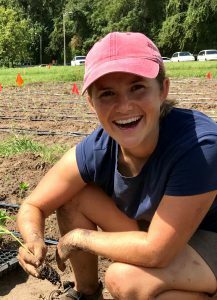 Prizzia oversees the Field & Fork Program and works as the campus food systems coordinator for the University of Florida. 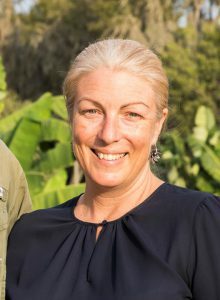 She has 15 years of experience in sustainability and food system efforts, including working as statewide coordinator for the Florida Farm to School Program, management of sustainability efforts with institutional food service at UF, and serving on the boards of Slow Food Gainesville and the Alachua County Nutrition Alliance. 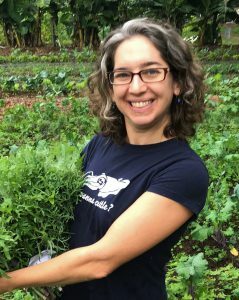 Prizzia is the president of the board and co-founder for Working Food (formerly Forage), a non-profit focused on supporting and sustaining local food efforts in North Central Florida. She received her B.S. in marine biology from the University of North Carolina, Wilmington and her M.S. in wildlife ecology and conservation with a certificate in tropical conservation and development from the University of Florida. She served in the Peace Corps at Vanuatu from 2004 to 2005. James is the farm manager for the Field & Fork Farm and Gardens. She received her B.S. in economics from the University of Florida and has a dual M.S. in Rural Development and Food & Resource Economics from Humboldt Universität zu Berlin and the University of Florida, respectively. She has carried out case studies on sustainable development in Brazil, Slovakia, and China. 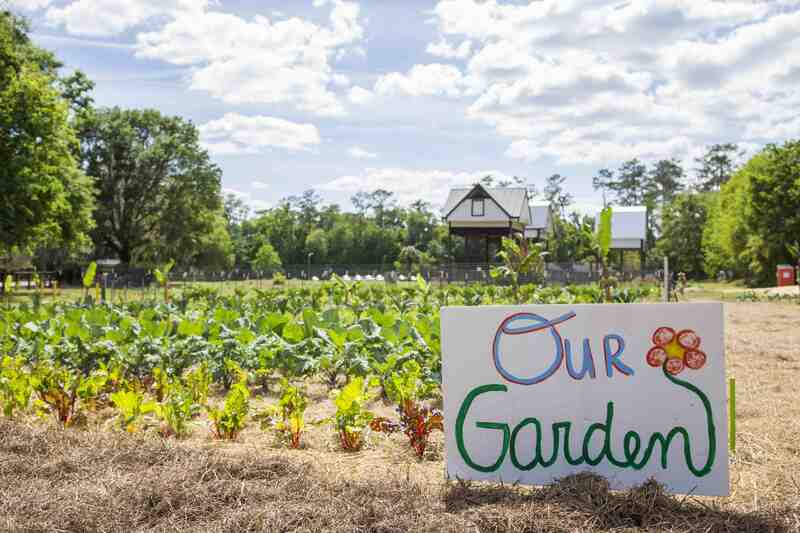 For the past four years she has been farming organic produce and dairy on farms in Gainesville, the Southeast, and beyond. 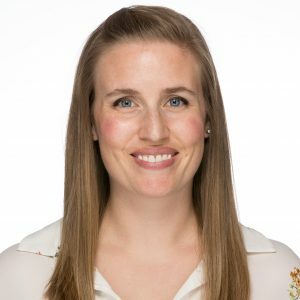 Dina is the program coordinator Field & Fork, and she brings a deep interest in supporting experiential learning in natural resource management and local food systems. She completed her graduate degrees at the University of Florida, with a Ph.D. researching the ecology and conservation of Florida’s iconic springs, and an M.S. focused on the livelihoods of international fishing communities near marine protected areas. 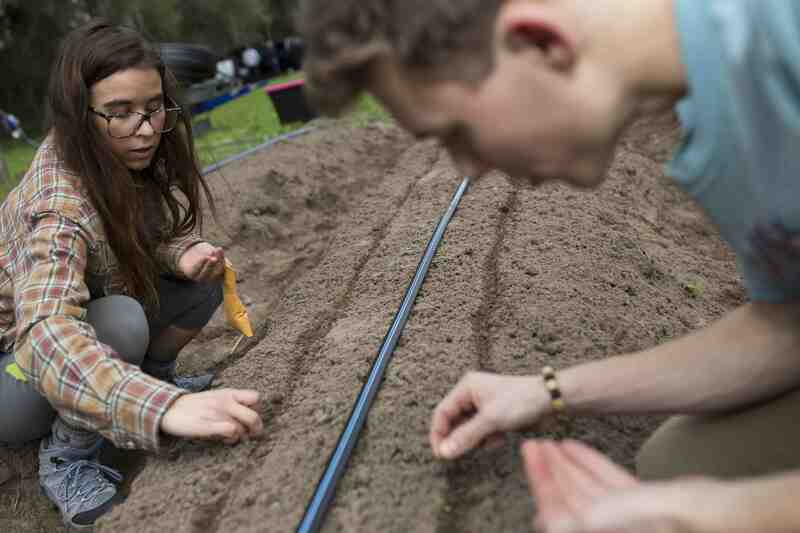 She trained in organic horticulture with the Center for Agroecology and Sustainable Food Systems at the University of California Santa Cruz, worked in a boundary organization translating science to policy, and has led student field courses around the globe. 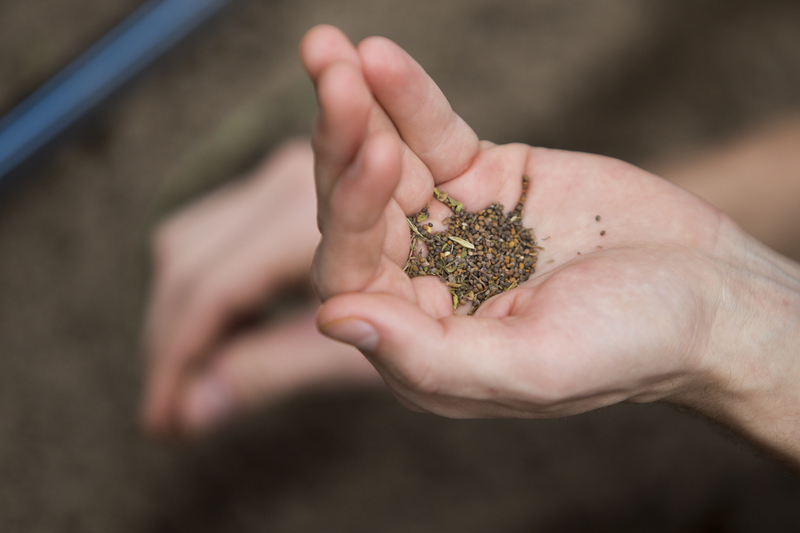 Gabriel’s work focuses on the effects of agroecological practices on soil fertility and soil health. More precisely, he works on the potential of cover crops, organic amendments and livestock integration to improve nutrient management and agricultural sustainability in a variety of agroecosystems. Originally trained as an aquatic biogeochemist, his work shifted towards nutrient cycling in agriculture during his PhD, which focused on the effects of cover crops and organic amendments on soil phosphorus cycling in California. His work expanded to include how nitrogen and greenhouse gas emissions were affected by manures and cover crops during his postdoctoral position in British Columbia. 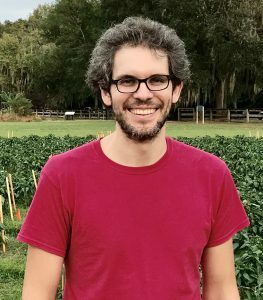 His work now embraces the complexity and uniqueness of Florida’s diverse agroecosystems. Hobson oversees the day-to-day operations of the Alan and Cathy Hitchcock Pantry and manages the pantry staff. She also manages the UF Career Closet and supports students through the Student Affairs CARE. Our donors are an important part of our team. Their support allows us to develop a robust program for our students and faculty. We have several work study positions, as well as for-credit and volunteer internships available each semester in the Field & Fork Program. To learn more about our internship program, open positions and how to apply, please visit the internships page.